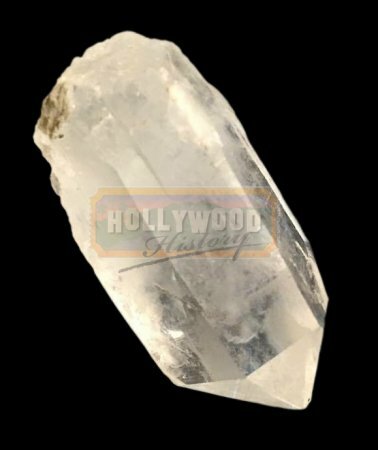 Escape Pod Crystal [SMEPC] - $0.00 : Hollywood History Online, Discover the Magic and Bring Hollywood Home! A crystal from the Krypton escape pod, used in the production of Richard Donner's Superman. Sent to Earth from his home planet of Krypton, Kal-el (Christopher Reeve) is raised by humans and grows to become the honest and true Clark Kent, while also taking on the identity of Superman to protect the people of Earth. 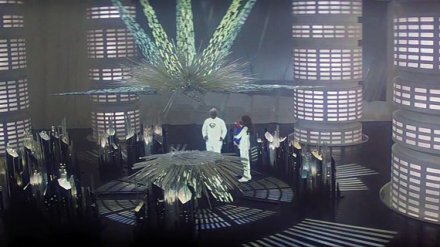 This crystal formed part of the elaborate escape pod set piece used as Jor-el (Marlon Brando) sends his only son to Earth to escape Krypton's destruction. The pod was made up of acrylic crystals of differing shapes and sizes bonded together to form the crystal walls. The crystal is made of acrylic with various angled sections taken out of it to create a unique, crystalline shape. Featuring some minor wear from use and time spent in storage, the crystal remains in good production-used condition.